Title : Frederic Chopin ,Polonaise in A, Op.40 No.1, 'Military' From Wikipedia, The Polonaise in A-flat major, Op. 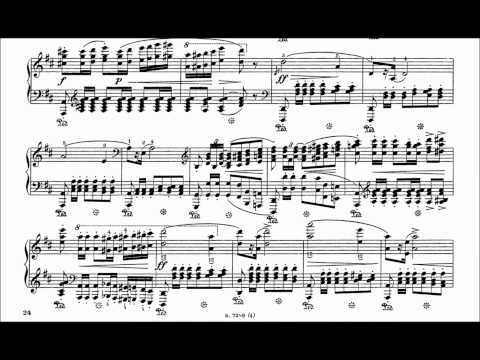 53 or (French: Polonaise héroïque, Heroic Polonaise) was written by Frédéric Chopin in 1842 for solo piano. 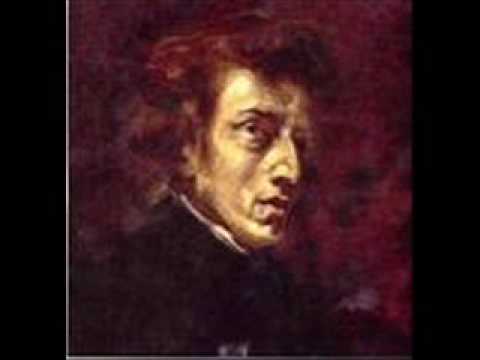 This masterpiece is one of Chopin's most popular compositions and is still a current favorite of the classical pianoforte repertoire. The piece requires exceptional pianistic skills and requires virtuosity in order to be played at an appropriate level of quality. Although the piece is labeled as a polonaise, it has little to do with the typical polonaise style. It presents two sections with a polonaise rhythm, but most of it has no particular polonaise attribute. 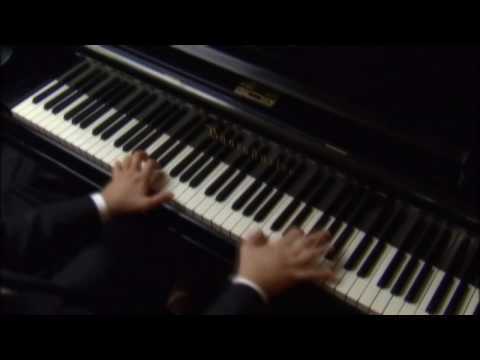 It has been said that Chopin had composed the piece having a free and powerful Poland in mind, which may have led him to label it as a Polonaise. Another possibility is that the Heroic Polonaise is closely related to the Polonaise in A major, Op.40, No. 1, known as the Military Polonaise. The introduction section of the Heroic is obviously inspired by the Military, which, unlike the Heroic, was a true polonaise. The tempo of the piece is Alla polacca e maestoso ("like a polonaise and majestic"). The form is ternary (A-B-A), with a 30-second introduction. 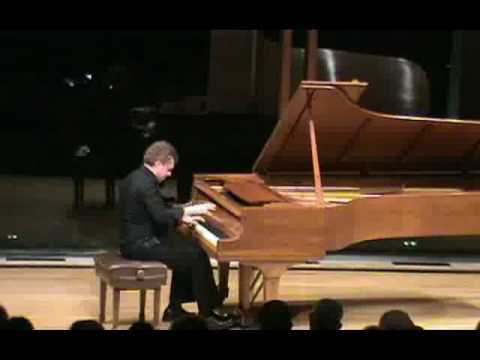 The piece has a grand introduction with fast ascending chromatic notes in both hands, setting the mood of the piece. 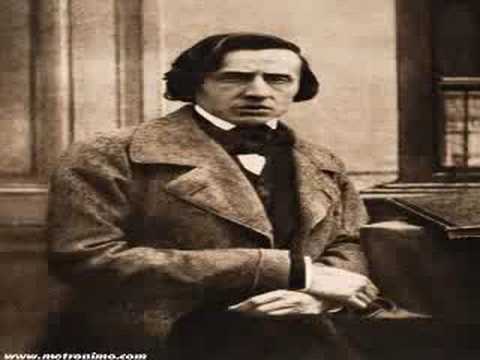 It shows the heroic side of Chopin's art.The first theme is a dance-like theme and is in the tonic key of A-flat major. 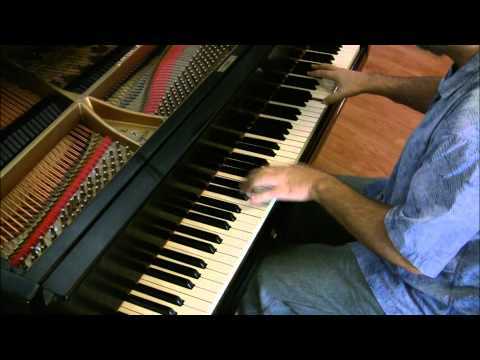 It is the familiar part of the piece, and has the left hand moving in pounding octaves. The theme is repeated up an octave with short trills that fill some of the auditory gaps in the theme. There is a brief interlude with a series of chord progressions that lead into a recount of the traditional polonaise melody, with the polonaise rhythm employed in the left-hand accompaniment. The theme of Section A then repeats once before closing. Section B opens with six loud arpeggiando chords before switching to a very soft bass ostinato of descending octaves first in the key of E major and then in D sharp major. A march-like melody follows the descending octaves and this occurs twice. Section B ends, with a long lyrical interlude firstly with harmonic chord progressions and frequent modulations. A flowing sixteenth note melody in the right hand and light accompaniment in quavers (eighth notes). This ends in a descending passage before Section A is replayed. 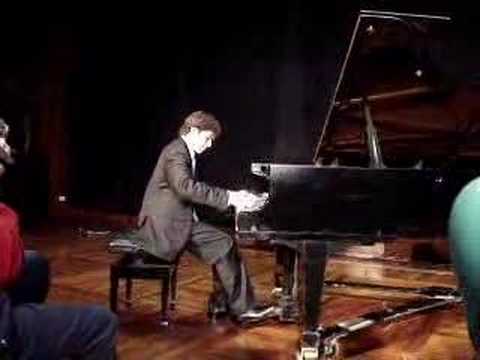 The theme is played louder and more dramatically and ends in a coda which includes material derived from the main theme. 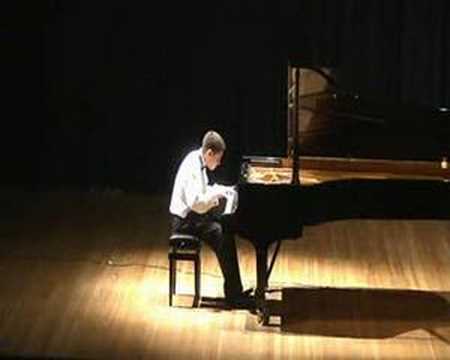 Chopin - Polonaise Op. 40 No. 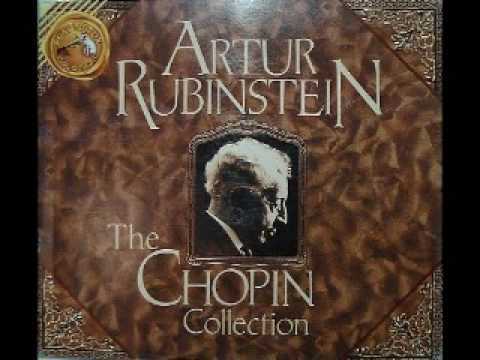 1 "Military"
Arthur Rubinstein - Chopin Polonaise in A Major, Op. 40 No. 1, "Military"